"Characters" is almost too strong a word. These are almost better described as caricatures of 70's archetypes. They have names like Goodly, Nicely, Rotten, Malicious... you get the idea. Their personalities are tied to their designs, which are best described as stylized doodles made by a four-year-old. That's not intended as an insult, either - the look was intentional. So, you've got Goodly and Nicely trying to make a request, Rotten and Malicious trying to murder Winter, a pair of kids named Small and Tender disobeying instructions to stay behind, and what I'm pretty sure was a drugged-out hippy named Bazooey trying to spread happiness or something. There's not a lot of story to most of this - the first half establishes the premise and concerns the journey to Winter's complex. Small and Tender are on their own here, and they pass through a forest where some talking trees help them with directions and are never mentioned again. Eventually, they catch up with the rest of the characters and make it the rest of the way. At this point, the story starts leaning heavily on the question of whether they'll get back by Christmas, as Goodly (basically the leader) originally promised. It's already Christmas Eve, so that's looking unlikely as they head inside. The next several minutes are essentially a satire about the absurdity of bureaucracy. It's not this special's fault, but these same concepts have been done to death over the past several decades. 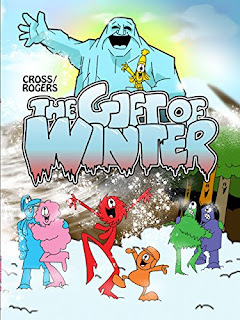 Eventually, the characters split up and start interacting with Winter. Goodly and Nicely make their case and are thrown out while Rotten and Malicious secretly set the explosives and light the ridiculously slow-burning fuse. By the time everyone else is gone, the kids wander into Winter's office. They don't realize he's there, but he overhears them talking and starts crying tears of snow. Then the kids love it, and he laughs tears of snow. At any rate, the snow extinguishes the fuse, and no one's ever the wiser about the attempted assassination. Winter makes it snow a lot, so everyone's able to get back in time for Christmas, because snow makes travel easier (technically, they just kind of slid back - it made very little sense, which was at least par for the course). I certainly wouldn't call the finished product good, but it would probably be unfair to call it bad, either. Aspects felt innovative, but taken as a whole it was more an exercise in style than a coherent story. The animation looked almost like construction paper cut-outs, and the whole thing was reminiscent of early Sesame Street shorts. It was clearly done on a shoestring budget with just a handful of animators. I can't recommend this - both the comedy and animation are far too dated - but it's certainly fascinating to hear Radner and Aykroyd in a project this small. I should note there's a sequel set at Halloween called "Witch's Night Out" that features more conventional-looking animation. That one holds up a little better, thanks to better pacing and a handful of good jokes, though I kind of missed the novelty of the rough style. Still, if you're considering watching either, go with Witch's Night Out.